When it comes to online casino software providers, NetEnt is definitely up there at the top with the biggest names in the industry. All you need to do is look at South African friendly online casinos such as Yeti Casino, Dream Jackpot Casino and 21 Prive Casino – all of which carry NetEnt slot games – to understand why NetEnt casinos are among the most sought after in the business. It is also easy to understand then, why 2017 was such an excellent year for NetEnt, which released its full business report for 2017 recently, showing how the company fared in the 12 months leading to December 31st, 2017. • Overall profits at the end of the year reached SEK 1,625,000,000, or R2,330,598,400. Last year, NetEnt concentrated heavily on expansion into newly regulated markets, and the results showed in their profit figures. 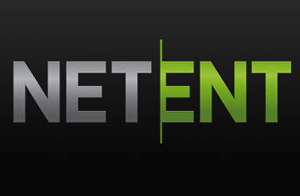 NetEnt headed into the United States by grabbing a New Jersey operator’s license, and in addition continued to strengthen its presence in the United Kingdom, Spain, Denmark, Italy and Spain. NetEnt’s entry into Serbia and the Czech Republic, two brand new markets, ensured that it continued to make tracks in Europe. NetEnt was proud of the new gaming titles that it released last year to its portfolio. Players at NetEnt powered casinos were thrilled to find no less than 14 new slot games, among them bestsellers such as Divine Fortune, a new jackpot slot game, as well as Jungle Spirit: Call of the Wild and Hansel and Gretel slot, which forms part of its Fairytale Legends series. NetEnt also launched its long-awaited branded slot game, Planet of the Apes. There is no doubt that NetEnt will continue to wow the South African and international online casino markets with new games as we head into the second quarter of 2018. The group is confident of further growth to match last year’s numbers, and players will be the ones benefiting the most.